Anyone who has taken a thorough look at the major areas of his or her financial life (such as insurance, tax strategies, estate planning, and capital accumulation), needs to carefully plan in order to ensure that all of the pieces are working together to produce the most favorable results. 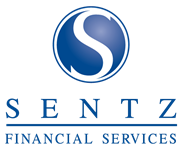 Our financial services firm can help you reach those results with an in-depth evaluation of your financial profile. This includes an assessment of every aspect of your financial life and provides you with detailed, interactive recommendations. Are you interested in working with a Financial Specialist? Take your first step toward long-term financial stability by contacting us today.